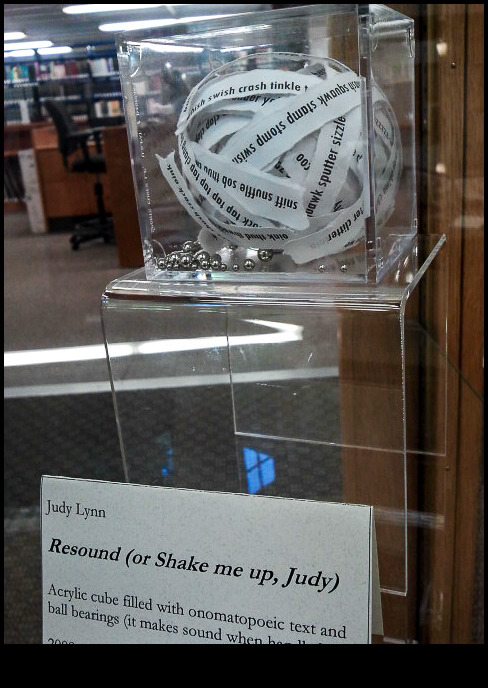 If you find yourself in Tacoma between June 6 and July 31, 2013, head to the Collins Memorial Library at the University of Puget Sound where the Puget Sound Book Artists are holding their Third Annual Members’ Exhibition. In a well-lit passageway just beyond the library desk, you will find a small, but exceptionally well-curated collection of hand-made interactive books. The Puget Sound Book Artists use found objects, handmade paper, woodblocks, scissors, even bias tape and more to create amazing works of art that tell a story (or amazing stories that are also works of art–you decide).